To be honest, I initially avoided it given the godawful headline and while that may not be Hoerburger’s fault, it gets things off to a terrible start, not the least of which is the insinuation that the things we associate with nerdiness – obsessive behavior, social awkwardness, intelligence and whiteness – are somehow mutually exclusive with what we associate with “soul.” And since “soul” is also synonymous with Blackness, the title suggests, whether intentionally or not, that whatever Black soul connotes – emotion, pride, community – it’s incompatible with the idea of also being smart, a little goofy and detail-oriented. That would surely come as a surprise to the countless Black soul artists, producers, songwriters and label owners of the last five decades, many of whom could surely be all those things without it seeming very contradictory. You read enough R&B biographies and for every commanding, crazily confident stage king like Solomon Burke or James Brown, it’s exceedingly easy to find other artists who were known for their awkward introversion (Aretha Franklin), debilitating shyness (Marvin Gaye), or preternatural, photographic memory (Stevie Wonder). I don’t mean to write a treatise about a headline but my point: it’s a wack headline and does the longer article a disservice in potentially dissuading folks from reading further. But I finally gave in, hit the lede (which I liked a lot) and then things began to fall apart for me. There have been plenty of singular soul sensations in recent years — John Legend, Sharon Jones and the Dap-Kings, Amy Winehouse, Ryan Shaw, Raphael Saadiq, Cee Lo Green; but they all added something to their references, even if it was the equivalent of a musical condiment. Hawthorne seemed to be more of a soul literalist. Hoerburger is obviously welcome to interpret these artists’ styles however he sees fit but what, exactly, is the “added something” that Sharon Jones and the Dap-Kings offer that is missing from Mayer’s music? I don’t think what they do is identical – for one thing, Sharon’s vocal talents tower over practically the entire field – but anyone who knows anything about producer and Daptone co-founder Gabriel Roth knows that Roth is a “soul literalist” of the highest order. Anyone including other writers at the same publication. Same goes for Raphael Saadiq’s 2008 album, practically the platonic ideal of a contemporary artist playing with soul literalism. To separate Mayer from that pack requires some greater degree of explication. And no, I don’t think it’s sufficient to point out Mayer’s sartorial style, i.e. 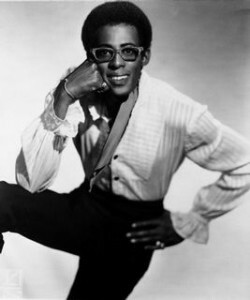 “buttoned-up” and “dorky horn-rimmed glasses.” As my post photo suggests, what would a young David Ruffin say to that? Is this a real movement, or just another extended retro moment? When Hoerburger writes “another” – what were the other “retro moments”? Winehouse/Jones? Something different? And again, why are Reed and KGF and Hawthorne being grouped as players in this potentially “new” movement when what they’re doing seems clearly linked to what Jones and the Dap-tones have been doing since the late ’90s Desco era or what the Poets of Rhythm began laying down as early as the start of the ’90s? Where does Will Holland’s Quantic Soul Orchestra or Jimi Tenor’s Soul Investigators fit in? Are they part of that “other” retro moment? Or this “new” one? What I’m pointing out is how deeply ahistorical the article is, especially one that’s focusing on a “movement” (which only exist within historical contexts). I’m not suggesting that someone like Eli Reed got his idea to become a soul singer because he was mail-ordering Soul Providers’ 7″s back in 1998. But if there is anything like a “new” movement in soul music being lead by a younger – and white – crowd (and we’ll come back to race in a moment), it clearly begins well over 10 years ago with the Poets in Munich, Desco in New York, Breakestra in L.A., and then hits its next level after Desco’s dissolution at the Y2K mark when you see Daptone, Soul Fire, Truth and Soul and other labels begin to coalesce. After all, prior to Mayer, Stones Throw had Breakestra and Connie Price on its roster. In that regard, folks like Aloe Blacc and Mayer are practically like the 3rd generation of retro-influenced soul artists on that single label. To me, part of what seems to inform this false division is part of this delicate but awkward dance the story takes around race. The article clearly isn’t ignoring race – Mayer’s whiteness, for example, comes up on a few occasions – but it seems unwilling to just call out the elephant in the room, whether to take it head-on or defuse it. Instead, the piece does this two-step with and around race that begins with its headline (where the “white” part of “white nerd” gets to be silent) and tries to gingerly address-it-without-addressing-it throughout the rest of the piece. I mean, when you’re quoting someone saying “What Eminem is to rap, Hawthorne is to soul,” you really want to hear someone – the interviewee or the article author – explaining what they mean by that. I want to be very careful in noting that it’s not as if the article HAS to take on race. For example, by coincidence, Jeff Weiss also wrote about Aloe Blacc and Mayer Hawthorne for the other Times, but in that story, Blacc’s blackness and Hawthrone’s whiteness don’t come up; it’s not relevant to the story angle. With Hoerburger’s article though, he seems to want it both ways: to talk about race sideways (i.e. with phrases like “the vinyl fetish of hipstery white guys is old news” or “Noble, who is 35 and pink-cheeked”) but appears otherwise reticent to tackle it in a forthright manner. After all, if this is a new movement (even though, I’m saying it’s not), the article is framing it as one lead by mostly younger white artists and label owners. What does that say about our associations with the term “soul”? What does that say about the relationship between the listeners of this music (mostly white), the makers of it (mostly white) and the influences they’re drawing from (mostly black)? Aren’t movements partially about the social ties binding people together? If that’s the case, then race isn’t merely some curious accoutrement, it dwells at the heart. I think the article knows this yet wants to assiduously avoid having to acknowledge it and that, as much as its flawed historicity, bothered me. OK…this all said, things I liked? Good reporting, some great quotes, and it is refreshing to see cats like Blacc and KGF get some NYT shine. It’s also one of the better profiles I’ve read on Mayer or Reed; I wish Blacc had been treated with the same depth, especially since he might have complicated some of these questions about nerdiness, soul and race. Update: I realized that, in my haste to knock this out in an afternoon sitting, I actually forgot to explain a key point tying in my concerns around race w/ my critique of the article’s false division. That is: I think part of why this piece tries to argue there’s this “new new” retro-soul movement that’s somehow different (though not in any well-articulated way) from the previous one, is through that “sideways” use of race, in this case, coded by talking about “nerds.” After all, besides a few sentences in reference to Mayer, Hoerburger doesn’t really explain how nerdiness is a distinctive feature of all the artists he’s clumping together along with him (i.e. Reed, Blacc, KGF, etc.) nor does he explain how other artists – the soul condiments crowd – are NOT nerdy even though if you took Mayer’s marketing photos and put them next to Raphael Saadiq’s, you’d think they were trying out together to be partners in some new buddy movie. 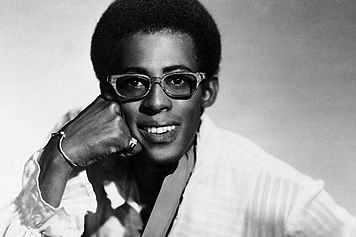 The whole “can a nerd have soul?” angle, therefore, is a coded way of trying to ask, “what’s up with all these young white kids into old soul music?” without having to actually ask the question. And moreover, in order to ask-the-question-that-dare-not-speaks-its-name, Hoerburger has to sell the idea of an artificial community/movement of “nerdy” white soulsters without explaining how they’re different from all the other soulsters – white and black alike – out there who are just as obsessed with aesthetic details and R&B authenticity. I’m not suggesting these artists are interchangeable. Lee Fields is not Charles Bradley is not Raphael Saadiq is not Eli Reed is not Mayer Hawthorne is not Leon Michels is not Miles Tackett is not…(you get the picture). But what makes them different isn’t reducible to race, age, and/or dress. You could talk about their musical differences. You could talk about how their audiences and venues. You could talk about how they’re managed and promoted. But what you’d likely find is that the “clumpings” won’t be consistent by race or age or fashion. And look, as a journalist, I understand the power of narrative and it’s a lot sexier to try to sell readers on the idea that there’s a white nerd takeover of soul than discuss the subtle differences between which small-capacity venues Mayer Hawthorne can book vs. Charles Walker and the Dynamites. Do race and age come into that? Absolutely. But not in any easy-to-package way. The soul world is rich with nerds and nerds can be rich with soul (thus answering the headline question, I suppose), but as with any world, they are all complex and teeming with diversity. That, to me, is what makes talking about soul music in 2010 so damn interesting. I think the real division between the two types of artists that the writer alludes to but doesn’t want to discuss outright, is indeed race-related. Some of them have voices that come out of the black church, and some of them don’t. Mayer Hawthorne’s music is not so different to Sharon Jones and the Dap Kings, but in terms of singing, they are at the opposite ends of the scale. Add Raphael Saadiq to the “dorky horn-rimmed glasses” and “buttoned-down” clique as well. Thanks, Oliver. Good takedown of a piece I found unsettling as well. Nice to see some NYTimes exposure, but you’re right, the slant is wack. i thought the same thing about Hoerburger’s peice – well articulated article. also great picture of ruffin! The coy, false dichotomy in this story is just another example. There’s a great story to be written on soul revivalists and what motivates them, but this ain’t it. I was thinking something along the same lines as Tom–pretty much any NYT piece on cultural trends is under-researched, contradictory, and at least five years behind the times. I’m sympathetic to the difficulties in writing trend pieces and I do think – to a degree – what you’re describing is an endemic problem with them. But I also think the NYT and other “mainstream” publications can do a good job with tackling those challenges. Just not in this case. the race discussion is espec pertinent for me in the midst of reading THE MEMPHIS BOYS–the inside story of American Studio in Memphis, the house band appearing on everything from early Aretha and Elvis to “Wooly Bully,” the Boxtops Joe Tex and Neil Diamond . . . they were mostly “nerds” of the rural southern, white sort, w/great feel. Damn, great job adding back the complexity in race, music and money that this article seemed to have dropped out (I really should go read the original….) The cross-over phenomenon, white demand for black-sounding music made by artists of whatever color, changes in mass demand for blackness or for sanitized whiteness, all were present in the 20s with blues and are present now in obviously different ways. Sometimes I think the word “Soul” tends to provoke the authenticity police more than any other because besides being a genre of music, it also stands in as a word for essential Blackness. Like to tell a white person they “have soul” for instance is to tell them they’re Black inside in important ways. A question that’s not often directly asked: can only Black people have soul? do all Black people have it? who cares? I think playing on this without confronting it directly is another weasely race thing the article does. I like to read your blog and I am very skeptical about the NYtimes on anything that isn’t world news. You have to remember that their audience is uppermiddle class and wealthy white people and that no matter how unbiased they try to say they are, all of their articles cater to what that audience WANTS to hear and not to what actually may be. It’s all in the wording, and I don’t think it’s intentional; it’s just the world that people who like that kind of stuff live in.